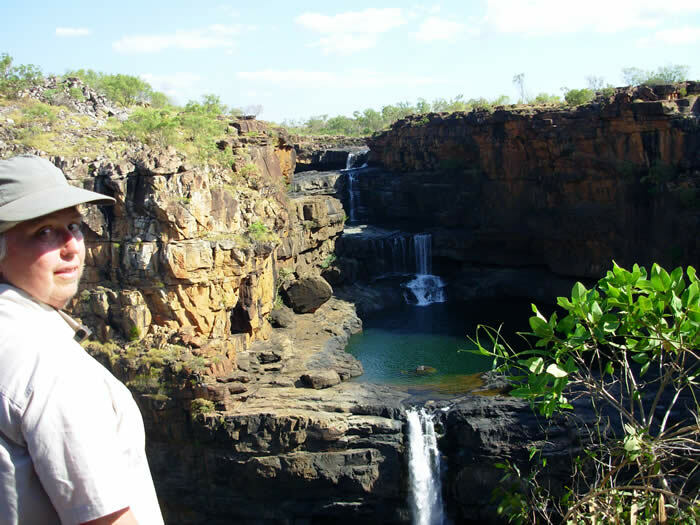 You will be collected from your hotel at 1pm this afternoon to begin your private 11 day 4WD tour through the Kimberley region. Today we travel to Derby and en-route we visit the prison boab tree and the Mowanjum Art Centre as well as taking a look around the wharf. This morning we'll make our way through the Napier and King Leopld Ranges to Bell Gorge and waterfall, believe d to be the most picturesque gorge in the Kimberley. We can have a nice relaxing swim here. 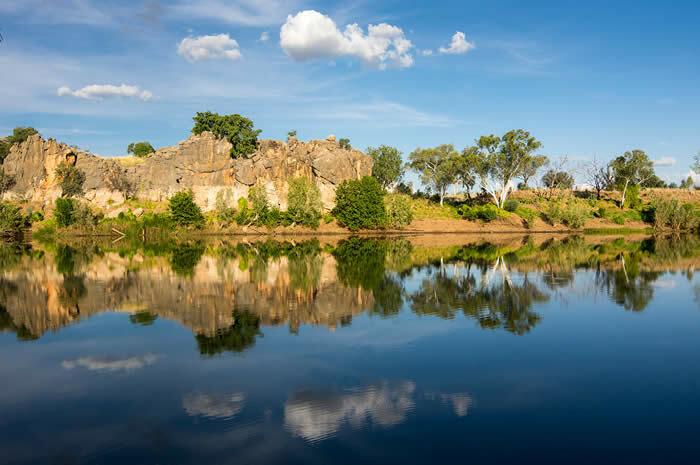 We continue to the beautiful Galvans Gorge, a small picturesque gorge, surrounded by boab trees. 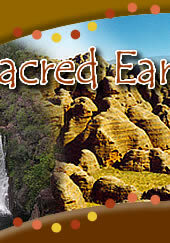 It has some interesting rock art and is a great place for a relaxing swim. Our destination today is Mt Elizabeth Station, a working cattle station, established in 1945 by the pioneering Lacey Family. We depart Mt Elizabeth this morning, turn onto the Kalumburu Road and take a look around an art site in the Gibb River area. We continue to Drysdale River Station, a working station and our accommodation for tonight. This afternoon we can have a swim at nearby Miners Pool. 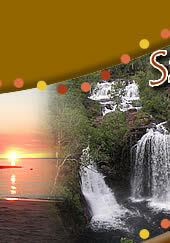 Today you'll take a full day tour to Mitchell Falls, including a scenic flight and ground tour. The day starts at 9am and you'll take a light aircraft to Mitchell Falls airstrip, followed by a 4WD transfer. Take a guided walk to the falls and a helicopter ride back to the car park. Then you'll take a scenic flight back to Drysdale Station, arriving at approximately 4.30pm. Our destination today is Emma Gorge, part of the El Questro Wilderness Park, which is a million acres in size. En-route we'll view an art site of cuples, Wandjana figures and Petroglyphs (rock carvings). This is also where the local Aboriginal people used to shelter and sharpen their spears. We'll also stop at a lookout for fantastic views of the Pentecost River and mighty Cockburn Range, before driving through the river. Dinner tonight is available for purchase in the restaurant. Then back to Emma Gorge, where you can walk to the gorge and 200ft waterfall that is fed from a series of natural springs high above the plateau of the Cockburn Range. 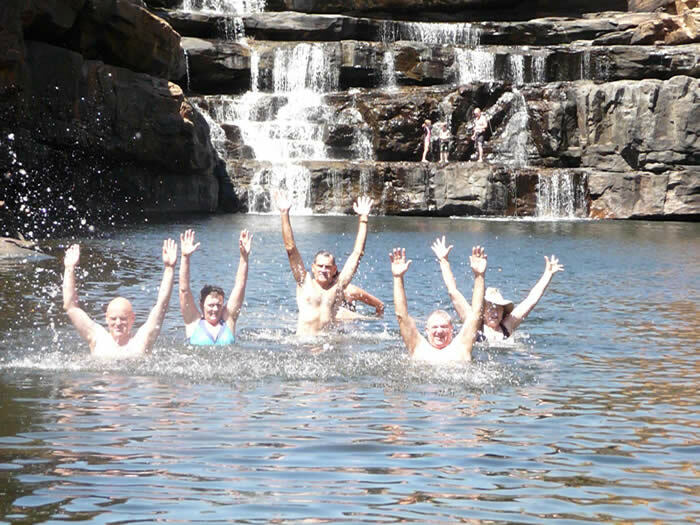 A cool reward awaits you at the end of the walk in, where you can swim at Emma Gorge Pool. This morning we depart the Station township and make our way north, at the beautiful Parrys Lagoon, which is a haven for bird life. We continue into Kununurra and out to Lake Argyle, Australia’s largest man- made lake, covering 1000sq km and built as part of the Ord River scheme. It offers a great expanse of water from which steep red rocky slopes reach up approximately 150m, in awe-inspiring grandeur. Dinner tonight is available for purchase at the resort bistro. This morning we pop into Kununurra to collect fresh supplies (due to border restrictions) before heading south to the Bungle Bungles. We spend today in the Bungle Bungles. Our first stop in the park is Cathedral Gorge, a huge natural amphitheatre, with fantastic acoustics. There's time today for optional helicopter flights (additional cost). Today we re-join the Great Northern Highway and make our way to the small township of Fitzroy Crossing. We continue to nearby Geike Gorge, for a ranger led boat cruise through the gorge, where flood waters of the Fitzroy River have carved the 30-metre-deep Gorge through the limestone at the junction of the Oscar and Geike Ranges. Then onto Windjana gorge, part of an ancient Devonian reef system where the Lennard River has cut through the Napier range. We take a walk into the gorge to view the fossilised reef system and freshwater crocodiles can often be seen lazing around on the river banks. We now travel back to Broome and you will be dropped off at your accommodation at approximately 7pm. This tour is only operated as a private charter (sole use of vehicle and driver guide) and is valid for travel from May to mid- September (due to road conditions) - please enquire for prices and further details. 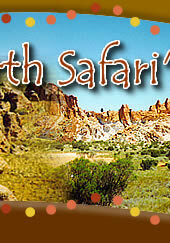 Itinerary is exclusive to Sacred Earth Safaris, subject to availability, road, weather and cultural conditions.